Karatsu (, Karatsu-shi) is a city located in Saga Prefecture on the island of Kyushu, Japan. Its name, formed from the Japanese word roots ? kara (China, or continental East Asia in general), and ? tsu (port), signifies its historical importance as an ancient trading port between Japan with China and Korea. The central area of Karatsu, which does not include the former cities and villages of Higashimatsuura District, has a population of 78,386. As of March 1, 2010, the city has an estimated population of 127,766 and a population density of 262 persons per km². The total area is 487.42 km². On January 1, 2005, the towns of Chinzei, Hamatama, Hizen, Kyuragi, Ochi and Yobuko. and the village of Kitahata (all from Higashimatsuura District) were merged into Karatsu. On January 1, 2006, the village of Nanayama (from Higashimatsuura District) was merged into Karatsu. 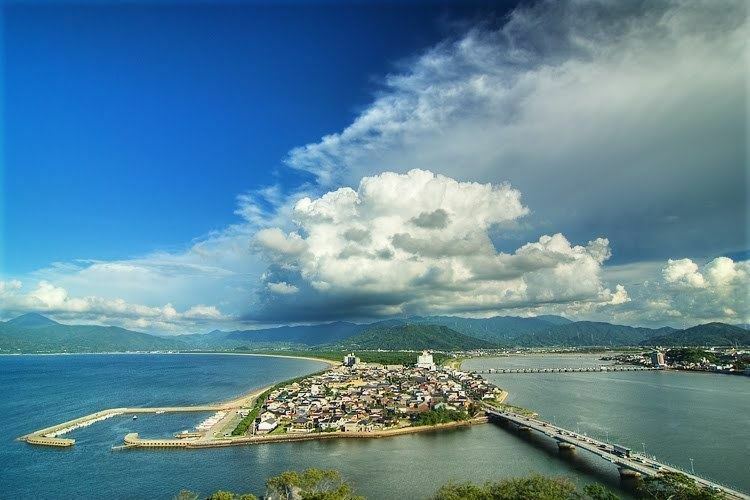 Due to its proximity to mainland Asia, Karatsu has long been known as a stopover to Korea and China. Under ritsuryo, the current city area was part of the Hizen Province. In 1591, on the coast of the northern part of the city (formerly the town of Chinzei), Nagoya Castle was constructed. The following year, it became the location from which the Imjin War was launched by Toyotomi Hideyoshi. In the middle of 1593, Terasawa Hirotaka created the Karatsu domain and began governing it. 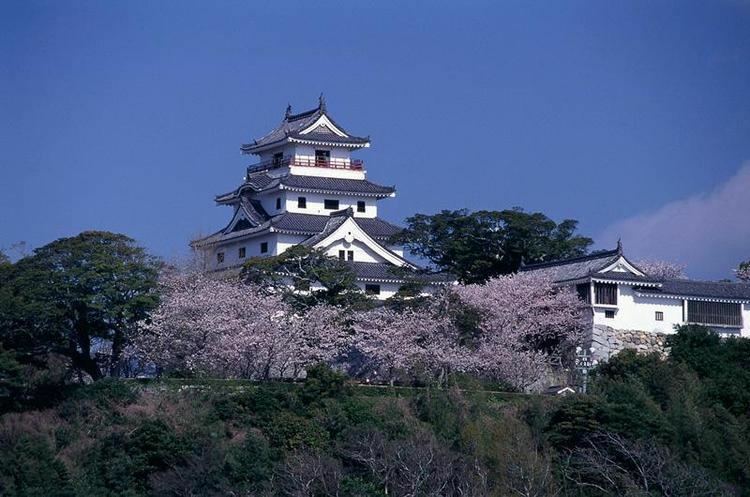 In 1602, replacing Nagoya Castle, Karatsu Castle was constructed in what is now the heart of Karatsu. The tower of Karatsu Castle was built in 1966 . 1889-04-01 - The modern municipal system was established. The current city region is occupied by 1 town (Karatsu), and 19 villages (Hamasaki, Irino, Kagami, Karatsu, Kirigo, Kitahata, Kuri, Kyuragi, Minato, Mitsushima, Nagoya, Nanayama, Ochi, Omura, Onizuka, Sashi, Uchiage and Yobuko). 1896-07-28 - Omura was renamed Tamashima. 1922-07-01 - Hamasaki was elevated to town status. 1922-11-01 - Nagoya changes the kanji of its name. 1924-01-01 - Mitsushima was incorporated into Karatsu Town. 1928-08-01 - Yobuko was elevated to town status. 1931-02-01 - Karatsu Village was incorporated into Karatsu Town. 1932-01-01 - Karatsu Town was elevated to city status. 1935-09-01 - Sashi and Ochi both were elevated to town status. 1941-11-03 - Sashi was incorporated into Karatsu. 1952-05-03 - Kyuragi was elevated to town status. 1954-11-01 - Kagami, Kuri, Minato and Onizuka were all incorporated into Karatsu. 1956-09-30 - Hamasaki and Tamashima were merged to create the town of Hamasaki-Tamashima; and Nagoya and Uchiage were merge to create the town of Chinzei. 1958-11-01 - Kirigo was split and its parts were incorporated into Karatsu and Irino (respectively), and Irino was elevated to town status and was renamed Hizen. 1966-11-01 - Hamasaki-Tamashima was renamed Hamatama. 2005-01-01 - Karatsu absorbed Chinzei, Hamatama, Hizen, Kitahata, Kyuragi, Ochi and Yobuko to retain the name Karatsu. 2006-01-01 - Nanayama was incorporated into Karatsu. 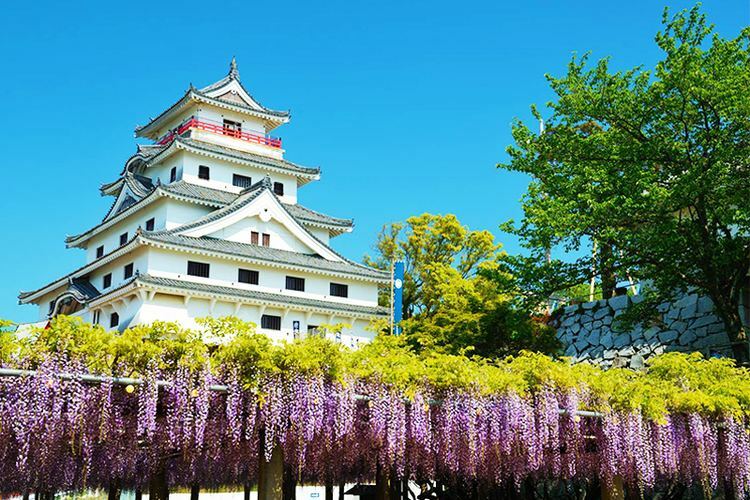 The graceful Karatsu Castle stands watch over this castle town. Karatsu is famous for its Karatsu Kunchi festival, which runs annually from November 2 to November 4 and is visited by approximately 500,000 visitors from all over Japan. The festival consists of 14 hikiyama (floats made of many layers of paper mache) being carried around the citys narrow streets to calls of "Enya!". Some hikiyama members say "Yoisa!". Regularly during Karatsu Kunchi, people in this town open their homes to friends and strangers to eat and drink; the primary focus is enjoying food, beer, and shochu, and having lively conversation. In between Karatsu Station (???) and the main bus centre (?????????) is a 170 metre arcade containing many small shops that specialize in Karatsu Kunchi omiyage, and the Korean-influenced local pottery which are called "Karatsu Yaki" since they refer to Japanese ceramic wares of Korean origin. The actual date of production of the Karatsu Yaki is believed to have begun being produced sometime "during the first half of the 16th century in the late Muromachi period."